If you do what you’ve always done, you’ll get what you’ve always gotten. That applies to exercise too! If you do the same workout over and over, your body will eventually get used to the workout. In other words, your body gets stronger, the workout becomes easier and you stop making gains in your fitness. If you want your fitness to continue progressing and improving, and to keep torching fat you need to inject some variety into your workouts. Variety is also important to prevent boredom. If you no longer find your workouts fun or interesting, you become less motivated, put less effort into it and might just give up entirely. Use these strategies to avoid boredom and make sure your workouts are always fresh, fun and motivating! Walking with other people is a great way to add variety to your walk. You can take it turns to choose a route, discuss different topics while you walk, take it in turns to set the pace or distance of your walk, and generally enjoy one another’s company as you workout. If you are a more of an introvert or just want your peace, but still want to have some undemanding company on your walks, walking a dog is ideal. You don’t even have to own your own dog; borrow your family, friends and neighbors dog for a walk. There are also many animal charities and shelters who are always in need reliable dog walkers, as well as various sharing websites that match people who don’t have pets with dogs they can walk. Walking the same route day in and day out can become tedious. Instead of walking the same loop over and over, make an effort to compile several different walking routes that you can then use in rotation. If you normally walk from home, why not walk from work or school instead? Maybe take a short drive so you can start your walk from a different place altogether? Whatever you do, keep it interesting and avoid falling into the trap of repeating the same route day in and day out – especially if you started to find walking boring. Change the soundtrack to your walk. Music can be very motivating but if you always listen to the same playlist as you walk, you will soon get bored. Use your walks as an opportunity to listen to new music or rediscover old favorites. There are several genre-specific apps that will help you find new music based on your preferences. The right music can make your walking workout fly by, motivate you and make you exercise harder. You can also use your walks as an opportunity to listen to audio books or podcasts. But take care – be sure you can still hear approaching hazards such as traffic. Tune in but watch the volume. Okay, so that sounds more intimidating than it really is. It’s just a way to describe how you’re exercising. For example you might exercise slow and steady, or fast and short. By switching up the way you train you can make your workouts more demanding, burn more fat and increase your fitness level. Although most of these training styles are often aimed at runners, there are several you can use for your walking workouts. Intervals – alternate periods of very brisk walking with periods of normal-paced walking. Continue alternating fast and normal-speed walking for the duration of your walk. Hill walking – find a suitable hill and walk up it as fast as you can and then slowly walk back down to recover. Walking up hills will test your legs and lungs! 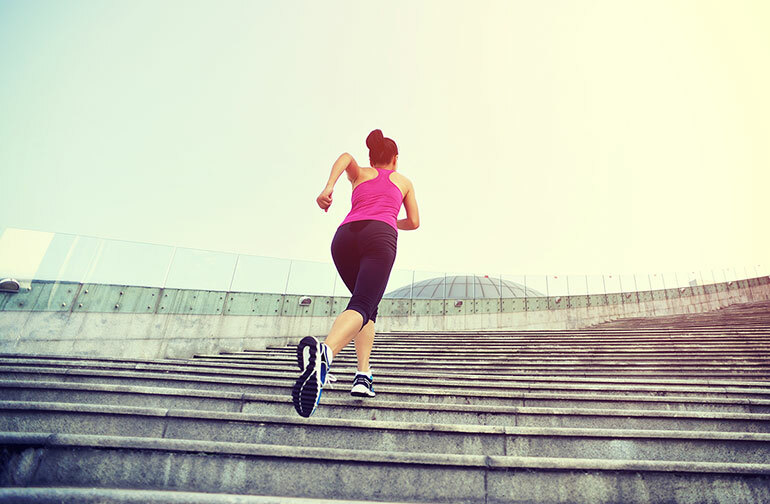 Fartlek – randomly alter your walking pace throughout your workout. Speed up and slow down as the mood takes you by imagining you are walking in a large group of people who are racing. You can time your pace changes with your musical choices. Walking at a different time of day can completely change the nature of the area through which you are passing. Hustling, bustling cities can be surprisingly peaceful early in the morning for example. Changing the time of your walk can show familiar places in a whole different light. One of the best ways to inject variety into your walks is to turn your workout into an exploration. Jump on a bus, train or in your car, go somewhere you’ve never been before and enjoy walking in completely new surroundings. Or go a little further and head out into the countryside with your backpack and some food to keep you sustained. If you do decide to explore new places, make sure to tell someone where you are going and when you’ll be back. Walking needn’t be boring and it takes virtually no effort to spice up your daily walk. Whether you change up your walking route, how long you walk, who you walk with or even what time of day you walk, switching things up will keep your workouts fresh and interesting, motivating you to keep pushing yourself and get awesome results.